When it's finished the mega resort's tower will reach 47-stories into the sky. Revel Entertainment has turned to the Chinese government for help finishing the lavish casino it is building on Atlantic City's Boardwalk. China State Construction Engineering Corp., the construction arm of the Chinese government, will team with Revel Entertainment and Tishman Construction to complete what is likely to be Atlantic City's last new casino for a long while. Under the $1.7 billion deal, China State will provide construction management for the casino, which is more than half done. Revel plans next month to start seeking the financing to finish the project. Get an insider's look at the construction of the $2 billion Revel casino resort along the boardwalk in Atlantic City. When completed the casino resort will boast a 47-story hotel, 19 restaurants, several pools and of course gaming steps from the boardwalk. Due to the recession, Revel slowed the project's pace last year and halted all but exterior work on the ocean-themed casino, hotel and restaurants, originally valued at $2 billion. Hundreds of construction workers were laid off in January. The project is considered to be too far along to abandon, and many local officials feel it could be the single most important factor in reversing a three-year economic slump in the nation's second-largest gambling market. 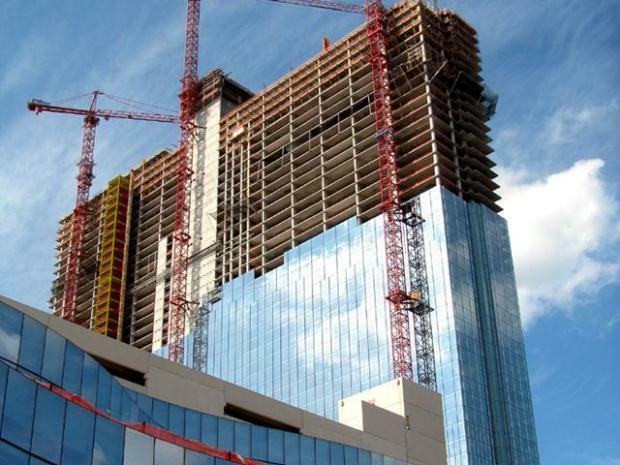 It is the only one of four similar projects in Atlantic City on the drawing board as recently as 18 months ago that now seems likely to survive the recession.